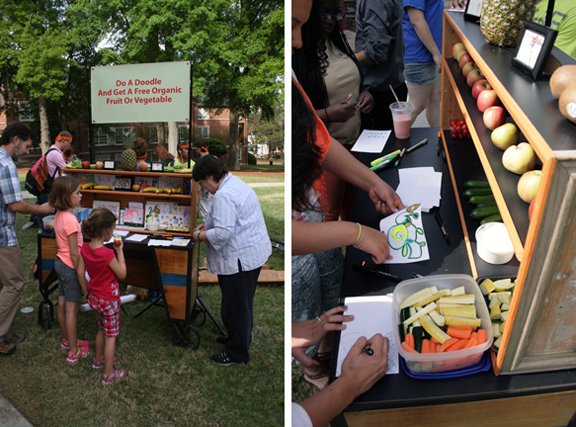 The Doodle Cart (Do a Doodle and Get a Free Organic Fruit or Vegetable) and Paul Rutkovsky appeared at Mercer University in Macon Georgia April 17 and 18. Students from the art department and the university doodled their way to fresh non-pesticide organic fruits and vegetables. 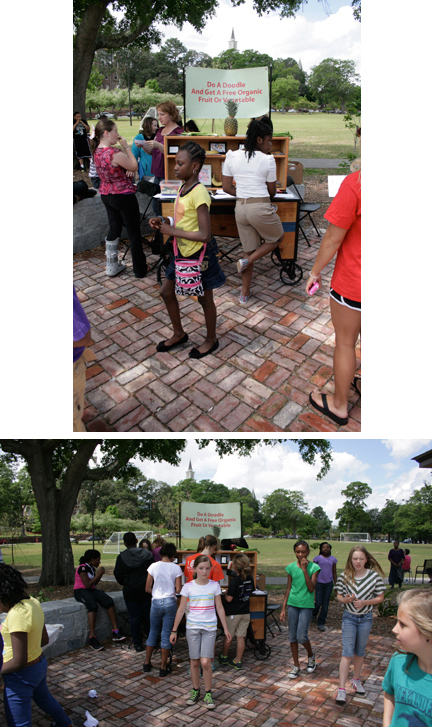 Fifth graders from Alexander II Elementary School also doodled in Tattnall Square Park. On April 20th, the Doodle Cart was back in Tallahassee celebrating the 2nd Annual Salvation Army’s EarthDay at its community gardens on Jackson Bluff Road.